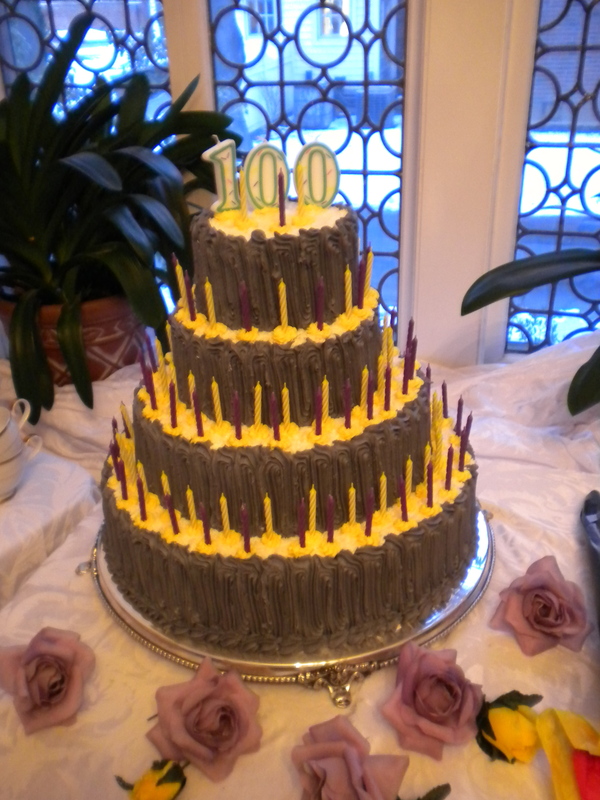 Yesterday, University of Rochester students, faculty, staff and community members traveled to Seneca Falls, NY to celebrate the 100th Anniversary of International Women’s Day. 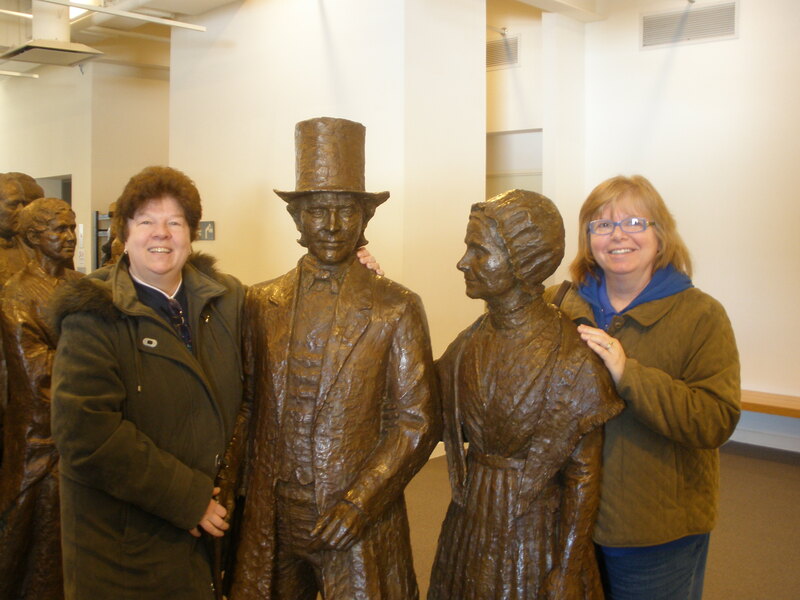 We started with a visit to the Women’s Rights National Historical Park where all of us agreed that there was so much to see we would have to return soon. 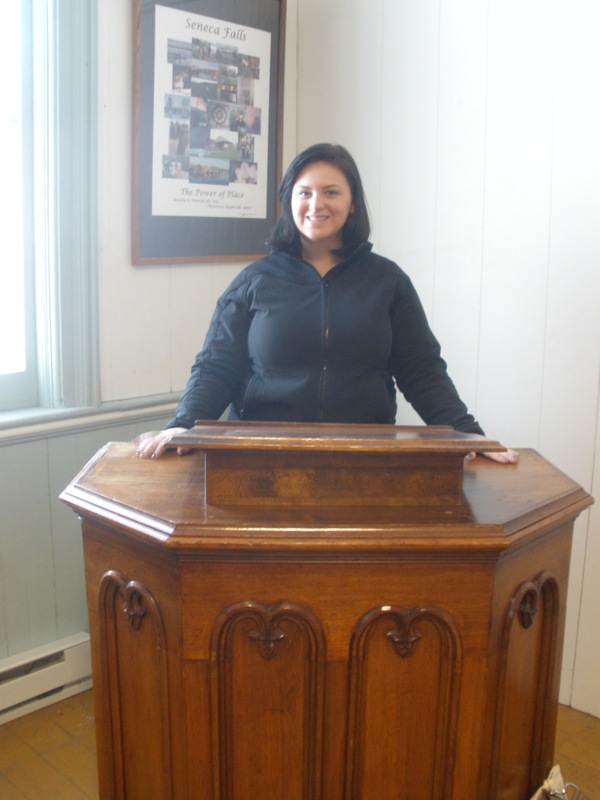 After taking a peek into the chapel where the first Women’s Rights Convention was held in 1848, our next stop was at the Women’s Interfaith Institute, home to a lectern believed to be one that Elizabeth Cady Stanton once spoke at! During lunch we were privileged to witness a dialogue between Seneca Falls Mayor Diana Smith and Elizabeth Cady Stanton, played by Dr. Melinda Grube, titled, “A Dialogue on Leadership: Seneca Falls, 163 Years Later.” Our group then visited The National Women’s Hall of Fame, who had just announced their 2011 Inductees that morning. The Seneca Museum and WomanMade Products were our final stops before boarding the bus and heading back to Rochester. The trip was a major success and we thank all of those who attended for spending IWD 2011 with SBAI! A huge thank you must also go out to all of our co-sponsors and co-organizers in Seneca Falls who helped to make this trip possible. SBAI ended our Int ernational Women’s Day with a celebratory event at the house of the Greater Rochester Chapter of the American Association of University Women. It was wonderful to be with other community members and local college and university students, faculty and staff to discuss issues affecting women today. We are proud to be a part of this dynamic and active community! A special shout-out to those outside of UR who have been following and sharing our blog – thank you!